As I mentioned in my last post, my family came to visit Jason and I for ten days during their Summer vacation. For those that may not know, Carlton was my last name before getting married. 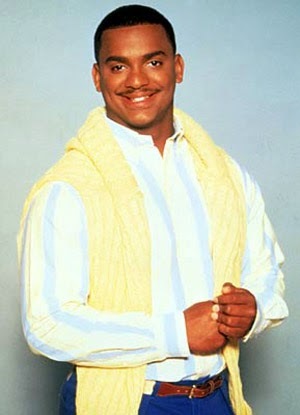 Carlton. Just like this guy. Which obviously meant to me--a child of the 90's--that Carlton Banks, a fictional character whose first name was Carlton, was my uncle and that we were indeed related. "So does that mean you can do the Carlton dance?" But in all seriousness I can do the Carlton dance. Jason and I moved away from my hometown to Minnesota after four weeks of being married. Two of those weeks were spent on a beautiful island in the Caribbean for our honeymoon, and the other two weeks were spent packing to make the big move up here. In other words, we never really had a chance to have my family over at the apartment I had in California. (Even Jason only lived in the apartment with me for the two weeks while we were packing to move up here!) So this really was their first time staying with "us". I couldn't get over how weird the thought of it was to have your own parents as guests in your own house. I mean, after all those years of, "as long as you're living under my roof you'll follow my rules..." it was payback time. Ha ha! Totally just kidding about that. But! Having my parents over as guests in our own house was something totally different that I had (obviously) never experienced before. It kind of made me feel like I was actually growing up or something and not so much like I'm just a kid anymore. Although I know I'm still a kid. This adult thing isn't really working too well for me. I think I'll go have a popsicle now. Bye. We spent our days together jumping on the trampoline, swimming in our above ground swimming pool (yes, we caved in an got a temporary pool for now!) and evenings were spent around the campfire roasting marshmallows. My sister drove the four-wheeler up and down our driveway and around our yard over and over again, always with a smile on her face. We went fishing, took a day trip out to Kakabeka Falls, drove down to the shores of Lake Superior and skipped rocks on the beach. We spent hot afternoons having family get togethers at Jason's parents house, shot guns enough there to make their neighbors think, "Those Krahn boys must be up to something again..."
Life's just a little bit country up here. Let's all just take a moment and look at my nephew Trenton's facial expression. I don't think he was too sure of this whole idea. But it turns out she was a natural at it! Danielle: Did I get them all? Danielle: Oh. I can't see without my glasses! Danielle on a four-wheeler with my dad! And no vacation would be complete without a #sisterselfie. I miss this kid like crazy! I'm trying to convince her to fly out for Christmas. I know she would love all the different things she can do once there's snow! Maybe I'll just casually leave out the part about how cold it gets here.